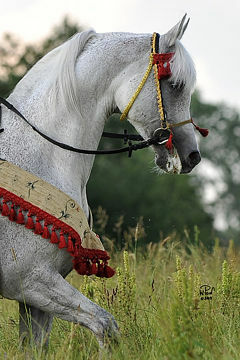 The Kazakh Association of Purebred Arabian Horses is proud to announce that their prestigious WAHO Trophy for 2015 has been awarded to the attractive young grey stallion Kalken. 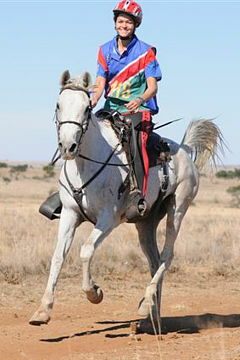 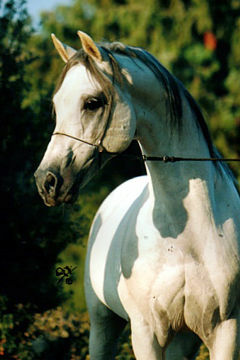 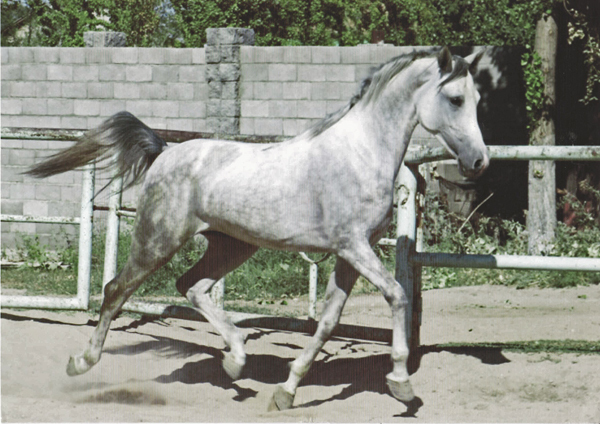 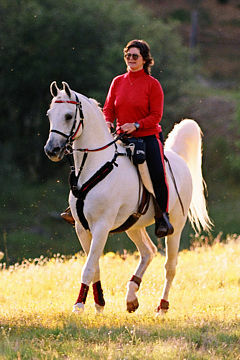 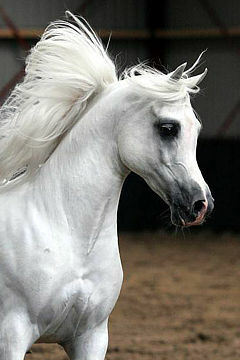 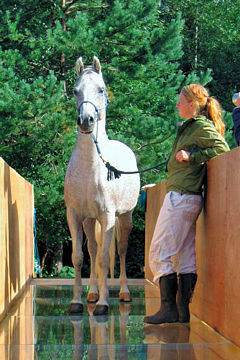 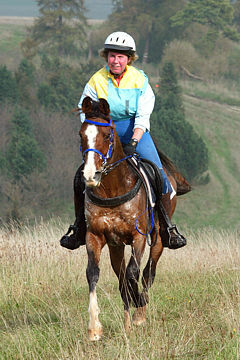 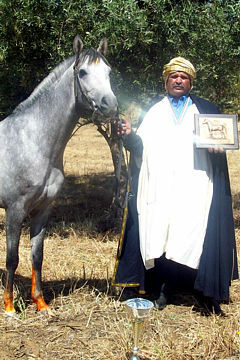 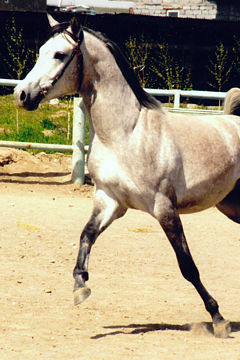 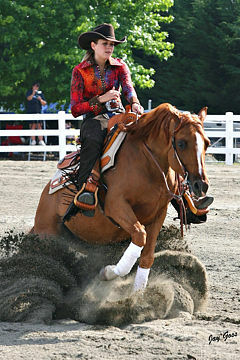 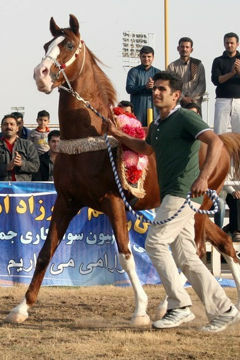 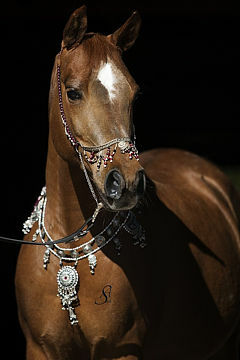 He shows great promise and is an excellent example of the quality of Arabian horses being produced in Kazakhstan. 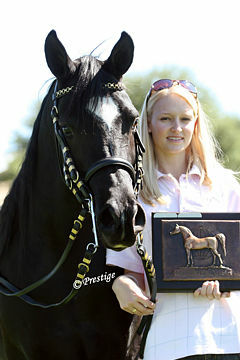 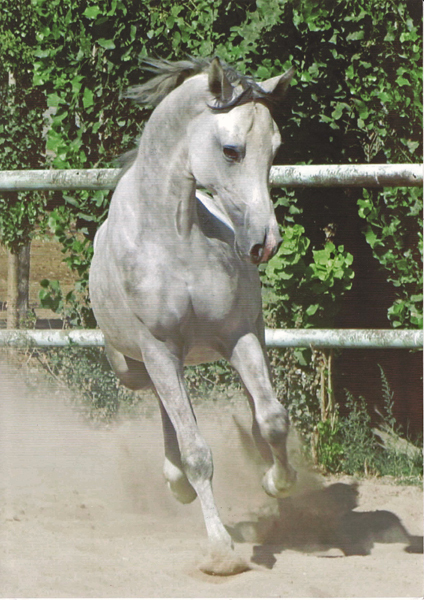 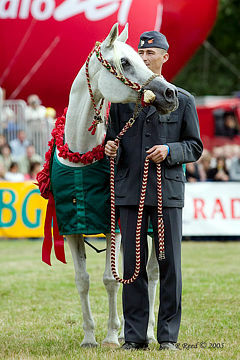 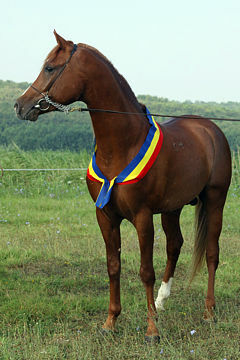 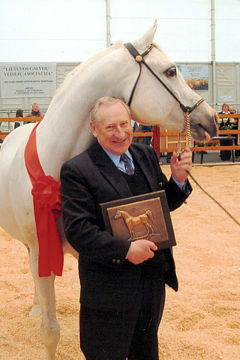 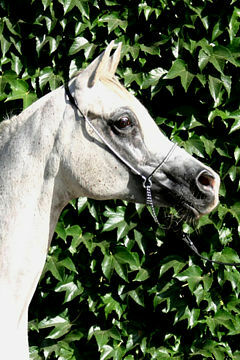 His sire Kair (Adres/Koldunia) was born in 2003 at Tersk Stud in Russia, where he raced with success from the age of 2 to 4 and also won the title of Liberty Champion at the Russian National Championships Show, before his import to Kazakhstan. 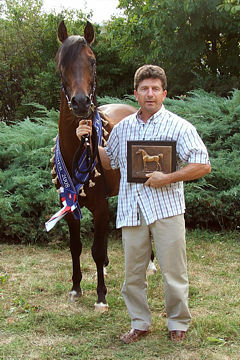 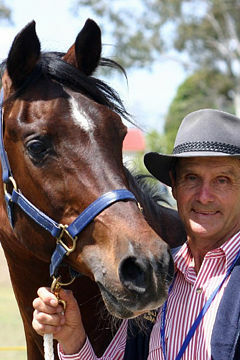 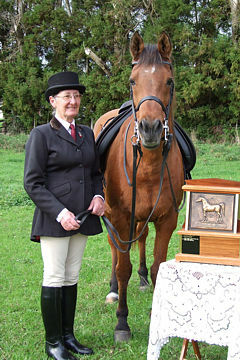 To date he has sired 18 foals in our country. 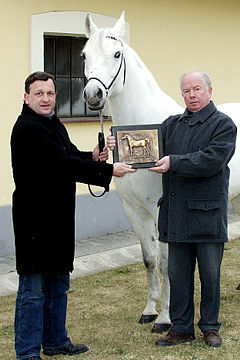 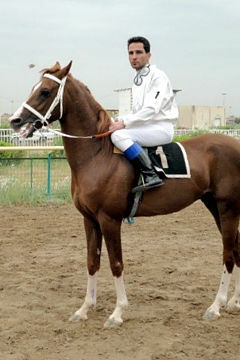 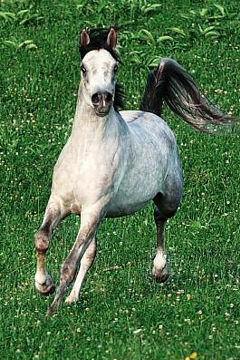 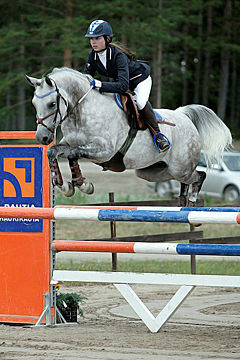 His dam Kamelita (Anchar / Kameia) was also born in Russia, at Khrenovoe Stud. 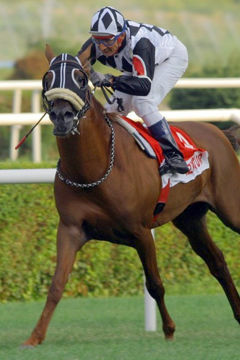 Both her sire and dam were bright stars of racing in Russia. 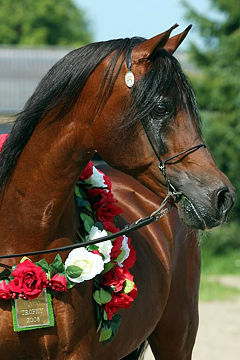 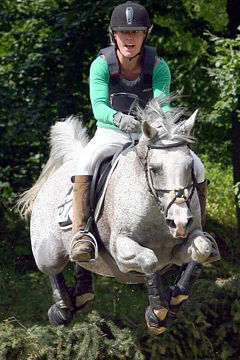 Anchar raced 38 times, with 11 wins including the European Cup in Warsaw. 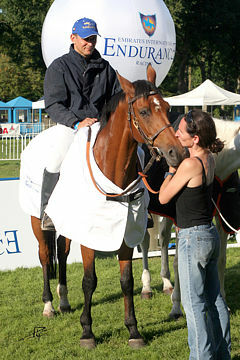 Kameia won 6 of her 8 races including the Russian Oaks. 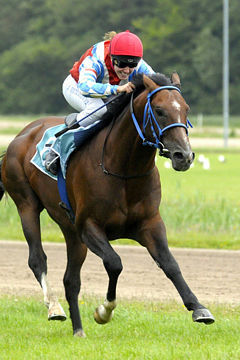 Kalken is currently in race training, and his owner/trainer Jazylbelkov Bulatkhan has high hopes for his successful future both on the racetrack and, in time, as a breeding stallion.